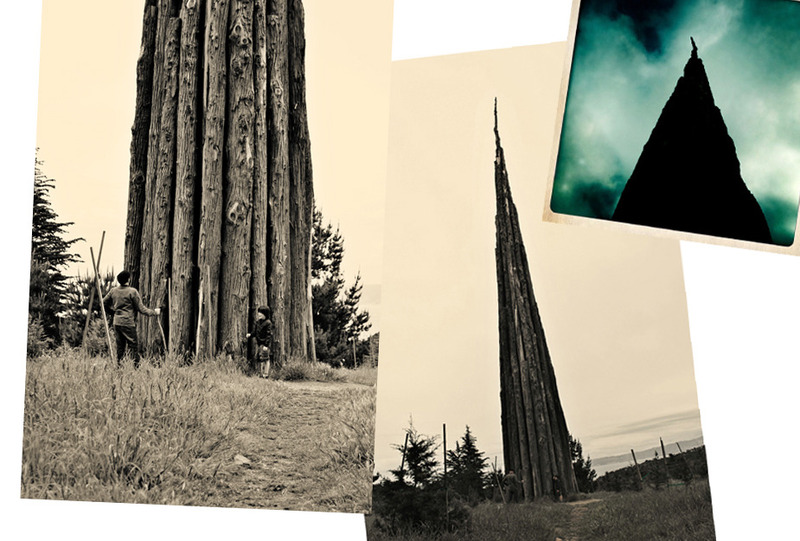 Another favortie destination of our's is the Presidio and Andy Goldsworthy's Spire. I particulary enjoy the trails in the Presidio as they offer more solitude than other trails around the city, and the Spire offers endless opportunities for D's imagination. Some days, it's a magic portal ready to transport us back to the time of dinosaurs. Other times, it is a soldier fort or alien artificat. IF YOU GO: Make sure to walk to Inspiration Point which is across the road from the Spire. From here, you can see Alcatraz and Angel Island. Weather permitting, you might catch the bay full of sailboats which is a beautiful site. Make sure to take the path to Julius Kahn Park, the prettiest park in SF I imagine. While you're walking through the eucalypts trees, keep your eyes out for raptors perched up high or gliding just over head.